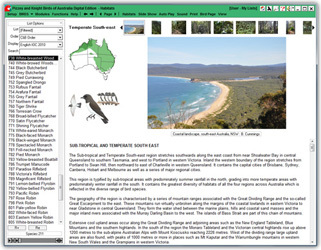 A comprehensive program that combines multimedia data on over 900 Australian species with eight interactive modules. 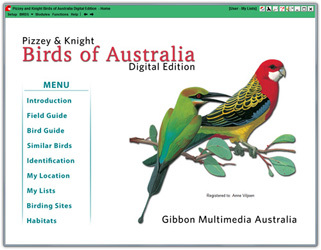 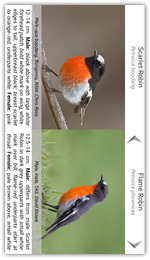 The Field Guide displays the full field guide pages of the Pizzey and Knight bird guide, with species text, distribution maps and sounds. 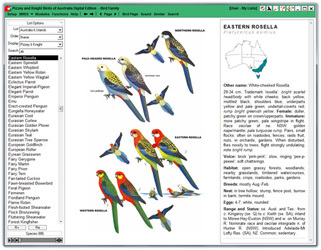 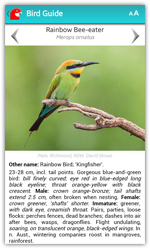 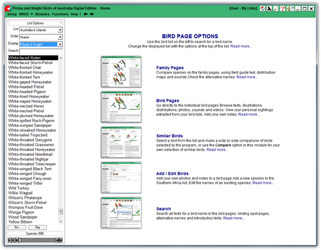 The Bird Guide includes a full bird list and individual bird pages for each bird, with illustrations, species text, distribution maps, photographs and sounds. 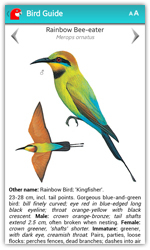 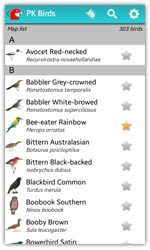 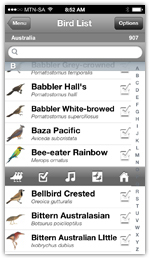 The bird list includes all the new species and new names. 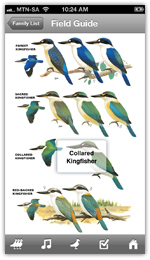 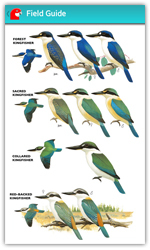 Similar Birds shows selected species side by side for comparison. 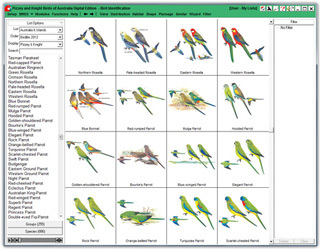 Identification uses location, habitat, bird shapes and plumage to shortlist possible species for identification. 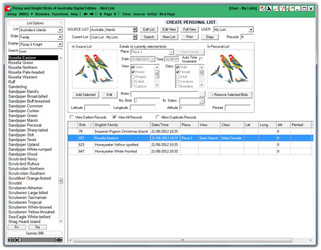 My Lists is a personal list manager that includes a life list and sub-lists that report to your life list, with import and export of lists. 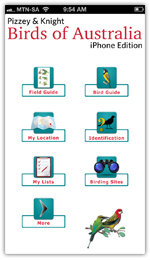 My Location is an interactive map for finding your location, generating bird lists, and locating birding sites. 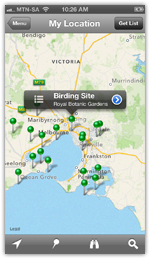 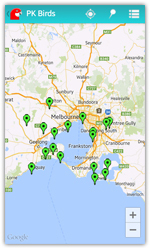 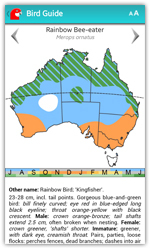 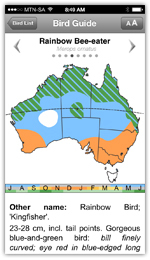 Birding Sites includes details of over 250 birding sites around Australia, with bird lists and photographs. 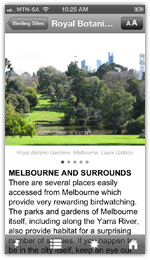 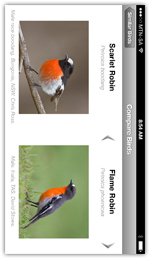 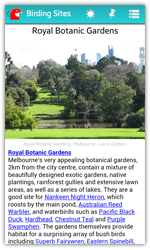 Birding Habitats with descriptive text, bird lists and photographs. 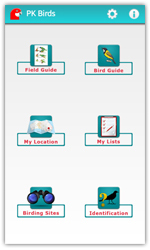 Now available for iPad/iPhone/iPod and Android phone/tablet and Windows PC. 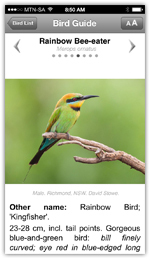 Gibbon Multimedia (Aus) Pty Ltd undertakes to keep your e-mail details confidential and will not distribute these to a third party. 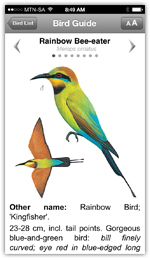 Your e-mail address will only be used by Gibbon Multimedia to notify you of our new products and special offers on these products. 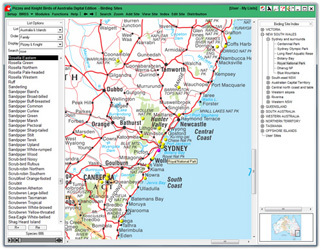 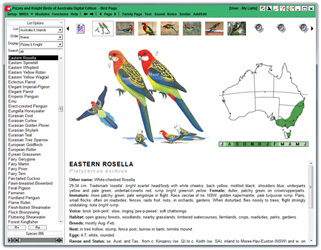 A comprehensive program that combines multimedia data on over 880 Australian species with eight interactive modules.